petition: Alia the Dolphin Died Young in Captivity - Save Her 6 Friends! Alia the Dolphin Died Young in Captivity - Save Her 6 Friends! Alia was a 10-year-old bottlenose dolphin living a sad life in captivity at Dolphinaris Arizona when she tragically died. The dolphinarium has not released the cause of death but we know that captivity is horrible for these intelligent, fun animals. Six other dolphins are still there and at risk. Sign the petition to urge Dolphinaris Arizona to do the right thing and release the remaining six dolphins to a sanctuary where they can live out their days in a happy, natural habitat. Bottlenose dolphins normally live at least 40 years so it's not a stretch to imagine some kind of death due to living in captivity. In fact, Alia is the second dolphin to die there in the last year - Bodie was only 7 years old when he died last year. Dolphins are not meant to live as human entertainment. One huge fear for having dolphins in Arizona is the risk of them contracting a deadly fungal disease called Valley Fever, especially because the stress of living in captivity weakens their immune systems. According to Care2 writer Alicia Graef, "Dolphins aren't cute little playthings, performers or ambassadors; they're highly intelligent, social, far-ranging predators. Sadly they are continuously treated like commodities by the captivity industry, who are taken from the wild, bred in captivity and shipped around with little regard to their wellbeing. Ultimately, they spend their entire lives being deprived of everything that would enable them to truly thrive." 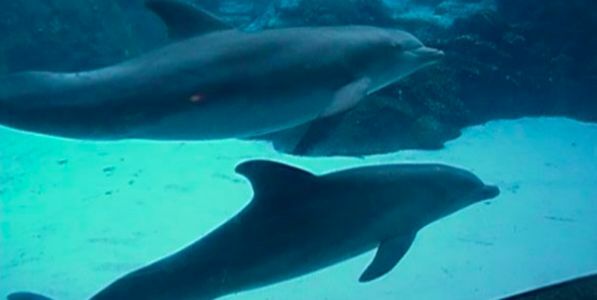 Sign the petition to help free Alia and Bodie's six dolphin friends! A fourth dolphin, Kai, has died of infection! Finally this facility is under investigation after all of these dolphin deaths. In the meantime, the remaining dolphins have been shipped elsewhere. Please keep sharing the petition to urge for the dolphins' release to sanctuaries! Khloe the dolphin has become the latest casualty of this horrendous facility. She makes the third untimely death by infection in 16 months. She was used in the popular swim with the dolphins attraction and obviously she was not getting proper medical care. This place should not exist, please keep spreading the word until we can get it closed down!